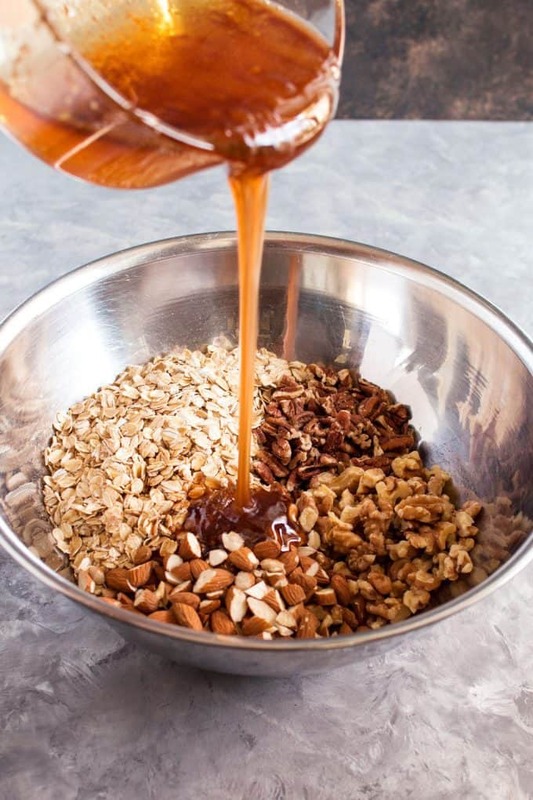 This make-ahead honey nut granola is the perfect easy breakfast! Mix up a batch and then eat it with milk or as a parfait. 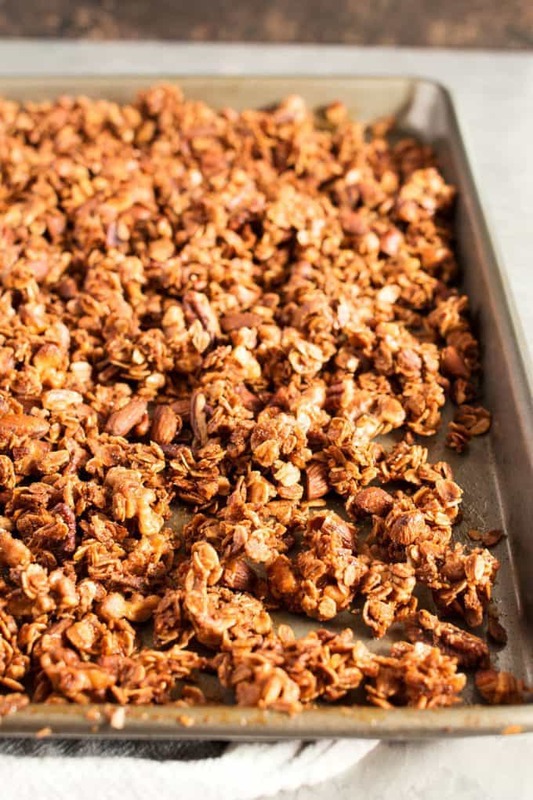 We have been making granola at home for years. I used to buy it all of the time until I realized how easy it is to make. In the past, I have made salted chocolate granola and apple cinnamon raisin granola. I just can’t get enough! 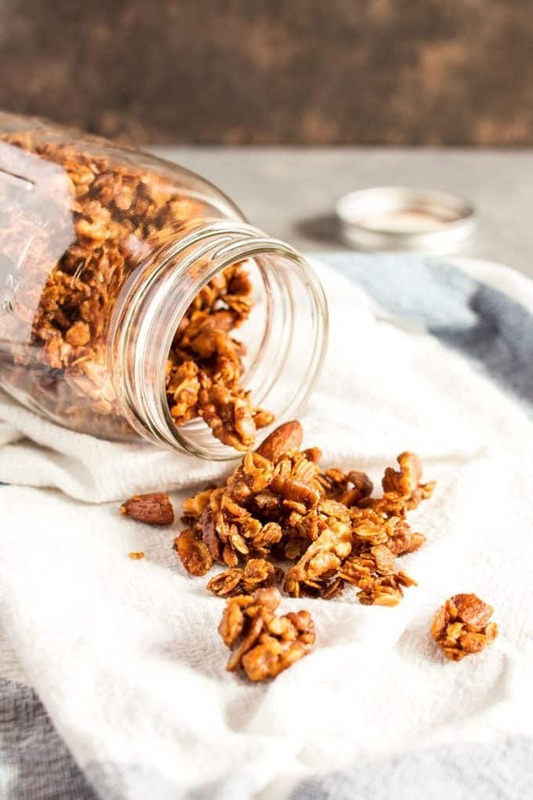 This honey nut granola is fantastic for breakfast or a snack. 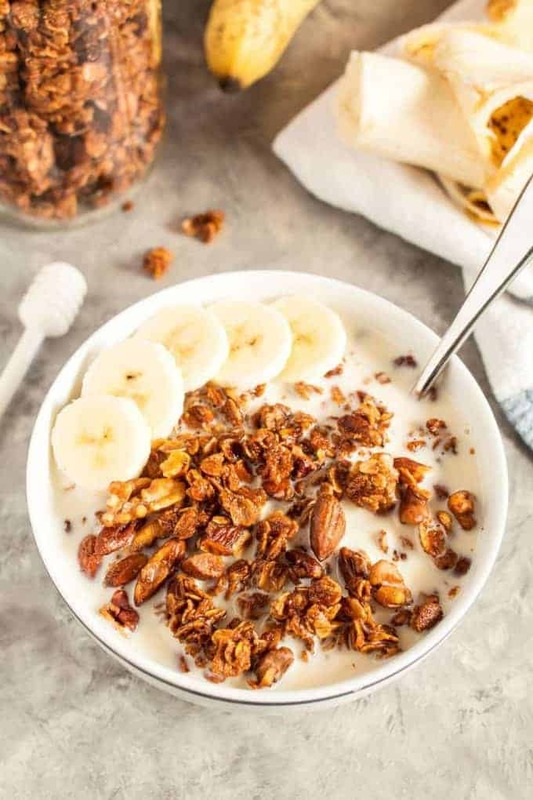 I like to make a big bowl of almond milk and granola and then top it with some banana slices. It really is the perfect way to start your day! As an afternoon snack, I mix the granola with some yogurt and berries for an easy parfait. It really helps me balance my diet. Since I make granola so often, I have a ready supply of mason jars to store it in. This batch ended up going home with my best friend and her 4 year old daughter loved it. She kept asking if we could all go to the store to buy more of Jenny’s granola. Ah, kids! Love their cuteness. Plus, if it’s kid approved you know you have a winner. 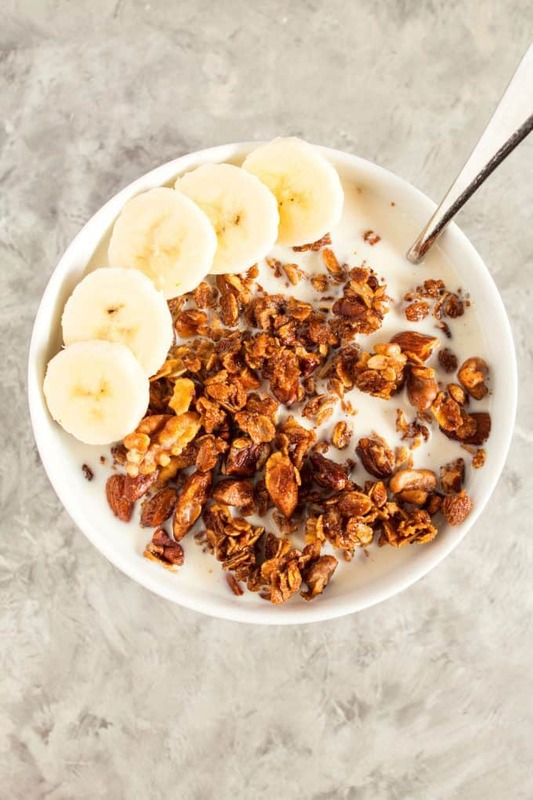 This honey nut granola recipe is part of a weekly meal plan I created. Pay attention for the next several days for more recipes from my meal plan or go to FromthePod.com now for the entire plan. Pre-heat oven to 250 degrees F. In a large bowl, mix together the rolled oats, almonds, walnuts, and pecans. Set aside. 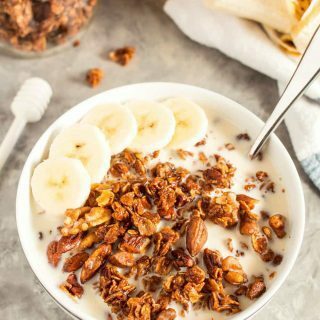 We will love your awesome Granola, so inviting! Thanks so much for sharing your post with us at Full Plate Thursday! Have a great week and come back to see us real soon!